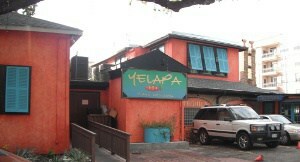 I recently posted the Voice Daily Deal for Yelapa Playa. Tonight I loaded up the kids to go use the voucher… but it looks like we were 2 weeks too late. When we arrived, the restaurant was closed and the chairs were stacked on the tables. We happened to find the owner who said it had closed 2 weeks ago. According to him, the parking was a real problem (which we commented on before we even knew about the closure) and the restaurant just could not stay in business. They are looking to reopen with a new concept, once they figure it out. The owner told me to contact Voice Daily Deals about getting a refund on my daily deal. I have a call in to them and will let you know what I find out.